in the triangle between the Votive Church, the Old Stock Exchange and the Rossauer Barracks, a beautiful early 19th century building dating back to 1872. 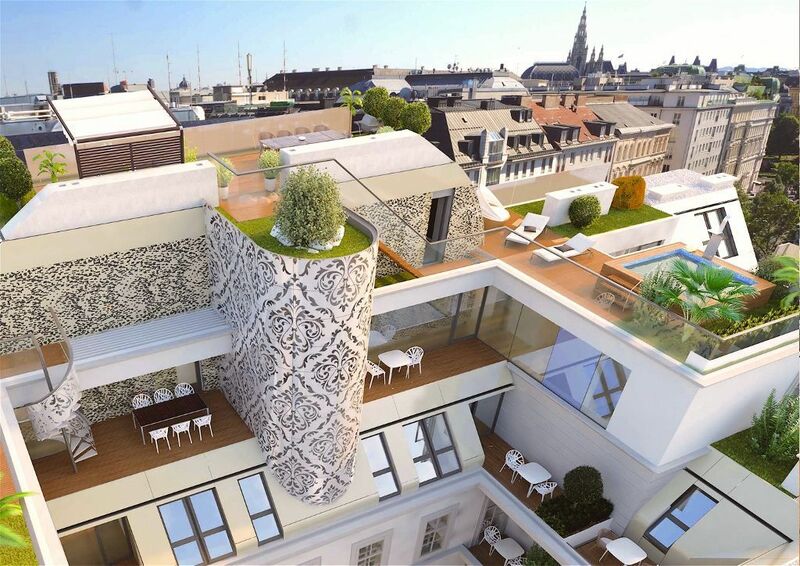 City-Apartment up to the exclusively equipped penthouse in the attic. The apartment sizes are between 73m² - 136m² in the old building and 110m² - 237m² in the attic. Larger residential units are also possible through consolidation. while the courtyard-oriented apartments are characterized by quiet and peace despite central location. The Kolingasse, lined by a green avenue of maple trees, offers unsurpassed quality of life on a historical ground in a quiet downtown location. the imposing Rossauer Kaserne or the old stock exchange built in the style of a Renaissances palace. The neighboring transport hub Schottentor is frequented by a total of 13 Viennese lines every minute. which connects the center with the main outskirts of Vienna.